I think it takes a lot of guts to open a restaurant that serves a cuisine from a very specific region which is a little different from other cuisines. Not by much, but enough to scare away a lot of people. Nellai Express serves a rather forgotten-in-the-cities cuisine and the name takes shape from the Nellai Express train that passes through the region. So, what is this specific cuisine? I don't think it has a name. Some call it the Thirunelveli household cuisine. Some call it the Thirunelveli Muslim household cuisine. Some call it the Around-Thirunelveli-home cuisine. Really no name. No name like Chettinad or Chinese or Italian. Which is why I guess it takes some guts. There are places that serve something similar, like Blue Diamond, but they are multi cuisine. Here, they serve only one. Guts, really! Before the restaurant opened for public, a few of us were invited and some of us liked the food and some of us connected with the food. I was from the latter group. The food was similar to my grand mom's and pop's village food. The amount of ghee used, the kind of meat, the names, etc. While they had to get a lot of issues sorted out, I guess the heart was in the right place. Now I went back after almost two months with family and was glad to see the place packed (it was a Friday night, though) and the food being the same. We started with the Soup. No cream. No croutons. Just chicken bones with a little meat in them. Typical of how the soup in most southern parts of Tamil Nadu. Flavourful. Like a chicken rasam. We had a chicken Sukka, omelette and Kalaki for starters. I hate Kalaki, so I can't comment on it, but my niece just gobbled the whole thing and asked for more, so I guess it must have been good. 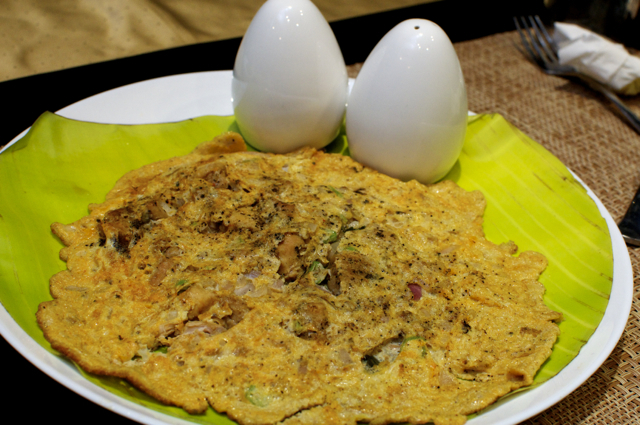 The omelette is typical of the area, but with the Thirunelveli twist, I guess, with a little less pepper, but had the taste of some 'Dhaniya' a spice mix that is used, which I don't think is used too often in other places. I was a little surprised by the Sukka preparation, because I know this cuisine reasonably well and Sukka is usually served on a tomato based paste, whereas here, it was served like the usual Sukka in a blackish paste. Tasted good though. 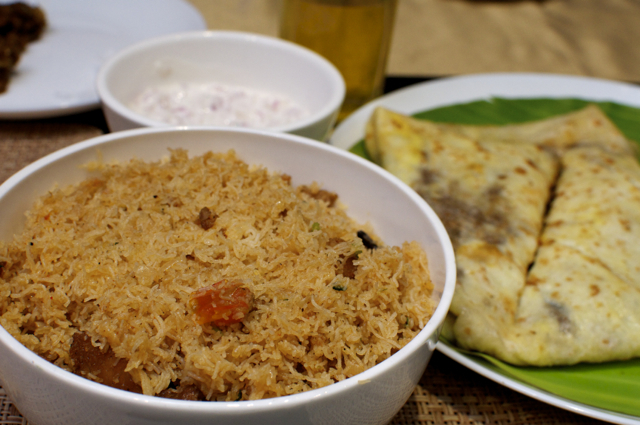 We had to try the Idiyappam Biriyani when we saw one on the menu and we had no complaints. The egg parota, (not the kuthu parota, but more Sri Lankan style) wasn't great for me and I'd prefer the one from Blue Diamond. I thought this cuisine was an acquired taste, but going by the crowd and most reviews on most social media, this restaurant seems to do well. 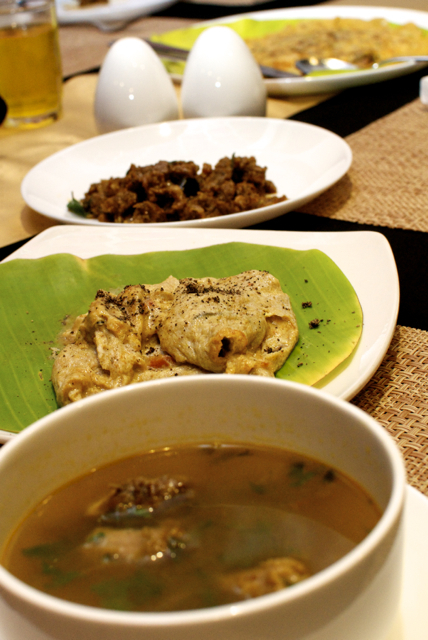 Jakob's Kitchen serves food from remote villages and now Nellai Express has ventured into serving a very localised cuisine, which augers well for the Chennai food scene. While this was a food that I connected with, it is something you have to try to decide if you like it or not! All of the above cost me Rs. 1290 including all taxes.